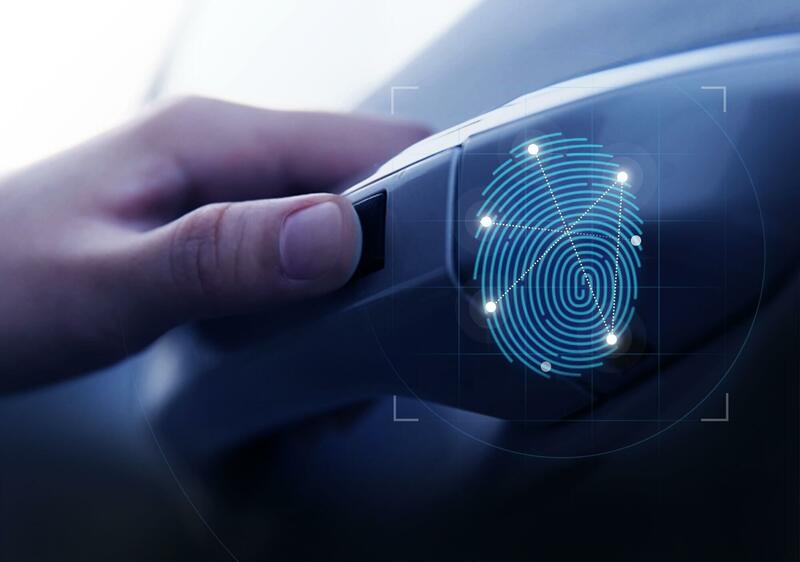 Forward-looking: Fingerprint scanners in smartphones have become the standard these days, and the technology is now expanding into vehicles. Hyundai Motor Company has announced that its latest SUV will allow owners to unlock the doors and start the engine using just their finger. Hyundai says the first vehicle to feature fingerprint recognition tech will be its 2019 Santa Fe that is scheduled to go on sale during the first quarter of next year. The SUV will only be available in select markets, starting with China. Drivers can unlock the vehicle by placing their finger on a sensor—around three times larger than a smartphone’s—which is located either on top of or behind the door handle. The encrypted data is then sent to the fingerprint controller inside the SUV, unlocking the door if it’s a match. Starting the vehicle involves placing your finger on the ignition button that contains an embedded fingerprint reader. Up to 5 people can register their prints, and the system can match the driving preferences—seating positions, mirror angles, infotainment system settings—to each person. Hyundai says the chances of the vehicle’s system, which uses capacitance recognition, misidentifying another person’s fingerprint as the driver’s is one in 50,000, making it five times more effective than conventional vehicle keys.